A free app is now available to help the 50,000 family carers in Ireland cope with difficult dementia care situations. guide to dementia care providing access to quick, helpful tips from experts and other caregivers. 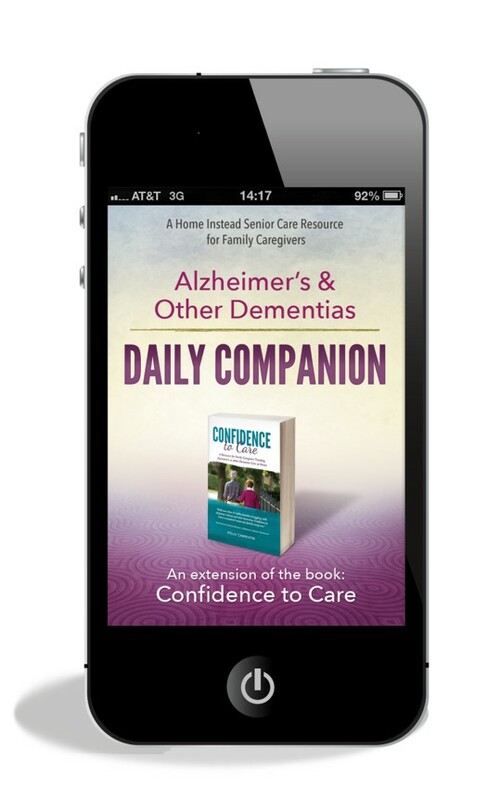 This on-the-go guide for dementia caregivers is available for download at no cost in the Apple App Store and Google Play Store. It offers immediate advice with close to 500 searchable tips and practical solutions to help deal with behaviours and situations related to Alzheimer’s and other dementias. Speaking about the new app, Danette Connolly, Director of Care, of Home Instead Senior Care said: “Let’s say a caregiver is struggling with an older parent who is accusing them of stealing or who no longer recognises them. All they have to do is type in their issue and the app will start outlining why they see this type of behaviour in their parent, what the caregiver can do and what approaches to take. It’s a practical and easy to use resource during times of great stress”. Danette continues: “It’s an interesting time that we live in. Most people are smart phone users and this is the first time in history caregivers have access to specialised advice at their fingertips. Even beyond the realm of Alzheimer’s and dementia care, there are apps that help us with everything – they provide fitness tips, they play music and help us stay in touch with friends. It is our hope that our daily companion app will help caregivers and make a real difference in their everyday lives”. Visit www.homeinstead.ie or call 1890 930 013 for more dementia care support and assistance.